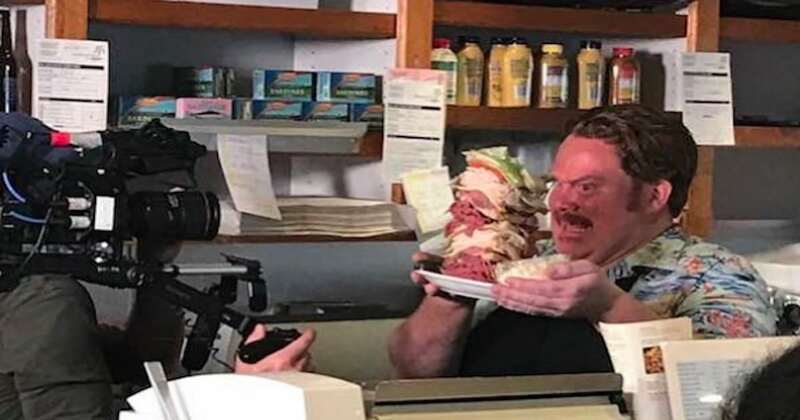 Man V. Food, a Travel Channel show in which host Casey Webb travels the country in search of America’s ultimate eating challenges, recently filmed at several Palm Springs restaurants, including Manhattan in the Desert, Shanghai Reds at Fisherman’s Market, and Melvyn’s Restaurant. 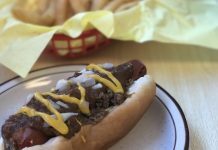 Here’s some info on the episode and where to find the restaurants that were featured on the show. 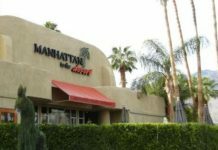 Manhattan in the Desert posted about the filming of the show back in March, showing a picture of Webb halfway through a pretty huge sandwich. Seriously, that’s a big freakin’ sandwich. 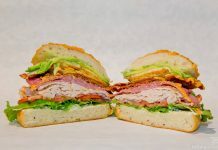 Webb defeated the “Manhattan-sized Sandwich Challenge” – which encompassed devouring a 3-plus pound deli sandwich complete with corned beef, roast beef, turkey, and pastrami plus lettuce, tomato and two slices of Swiss cheese, all served up on fresh rye bread. Those taking the challenge must also choose a side. Webb opted for coleslaw over potato salad. For winning the challenge, he received a free dessert (was there room?) and a free hat. 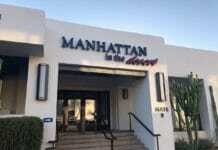 In addition to defeating the huge sandwich challenge at Manhattan in the Desert, Webb also spent some time during the episode at Shanghai Reds at Fisherman’s Market and Grill in downtown Palm Springs, enjoying some fish tacos, and Melvyn’s Restaurant, just a block from Palm Canyon Drive, where he soaked up some old school Palm Springs by trying the “Steak Diane” – which was the favorite meal of Frank Sinatra. Related: Here are all the Palm Springs area eateries featured on TV shows. 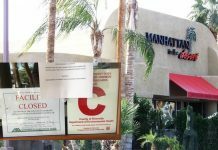 Manhattan in the Desert reopens after receiving ‘A’ grade from health dept.